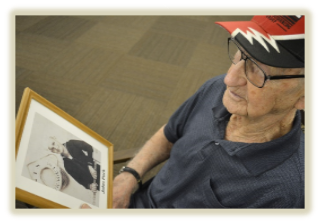 What is Veterans Care Ministry? 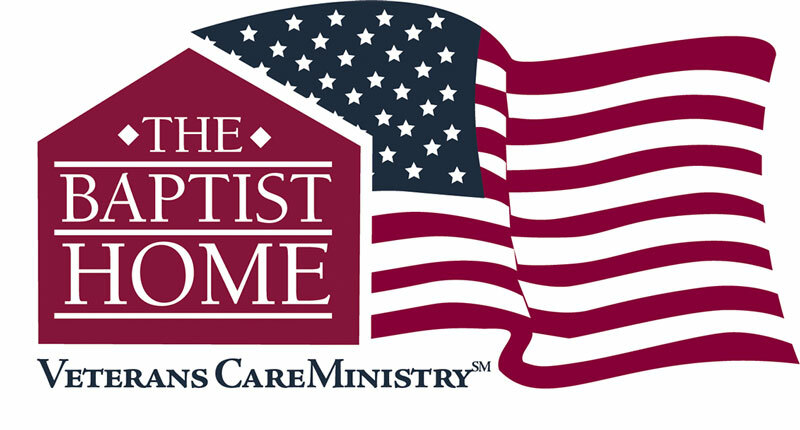 Veterans Care Ministry is a faith-based ministry launched by The Baptist Home in an effort to help combat veterans and their families deal with the effects of moral injury. Moral injury is often a hidden injury, and does not normally respond to treatment in a clinical setting. Moral Injury involves something someone does, doesn’t do, or witnesses that betrays one’s morals, disrupts one’s world view, alters one’s sense of self or others and disconnects one from one’s soul, self, God or community. Veterans Care Ministry offers to help churches and ministry organizations develop ways to connect and to build healing relationships with combat veterans and their families through awareness-building events, ministry training and education, and community action networks. We believe that in order to help our combat veterans cope with the stresses of combat and heal the wounds of moral injury, we must first educate and then equip ourselves in order to provide meaningful, effective ministry. You can go to www.facebook.com/groups/VeteransCareMinistryNetwork to learn more about the VCM Network. 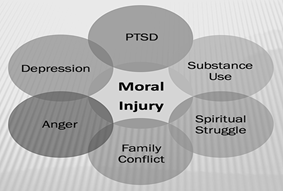 While Veterans Care Ministry℠ is generally focused on all veterans and their families, we are specifically focused on the issues related to moral injuries of war. The role of the church is crucial to the web of community support available to veterans; those who have returned from war, those who were mobilized to hostile assignments, those who are now aging with declining health and wellness, and the families of those who have served. It is now understood that moral injuries require remedies that result in soul repair. Effective church ministries provide persons seeking spiritual answers to guilt, shame and anger with opportunities for healing, forgiveness, and redemption. Awareness-building, Mobilizing, Equipping, and Networking churches and communities to create a sustainable and reliable holistic web of care for military veterans and their families. It is sometimes difficult to explain the feelings that disturb one’s sleep and interfere with healthy relationships and daily life routines. But telling someone what you are feeling is a necessary first step toward help and healing. Moral Injury (feelings of guilt, shame, remorse, anger, despair, mistrust, loss of meaning, isolation) is connected to other behavioral issues and is often associated with traumatic experiences. Practice Bible Reading, Prayer and Meditation. Find a local church or worship community and Christian support group. My soul is bereft of peace; I have forgotten what happiness is… But this I call to mind, and therefore I have hope: The steadfast love of the Lord never ceases, God’s mercies never come to an end; They are new every morning; Great is your faithfulness. Early in the morning I cry to you. Help me to pray, And to concentrate my thoughts on you: I cannot do this alone. In me there is darkness, But with you there is light; I am lonely, but you do not leave me; I am feeble in heart, but with you there is help; I am restless, but with you there is peace. In me there is bitterness, but with you patience; I do not understand your ways, but you know the way for me… Restore me to liberty, And enable me so to live now That I may answer before you and before humanity. Lord, whatever this day may bring, Your name be praised. If you are needing help, tell someone and ask for help. If you want to help, be a compassionate non-judgmental listener, assuring them they are not alone. Go with someone who’s at risk to get help. Call 911 or seek out a health professional. Active military, military veterans, and spouses need help for a range of services, including emotional and spiritual issues.